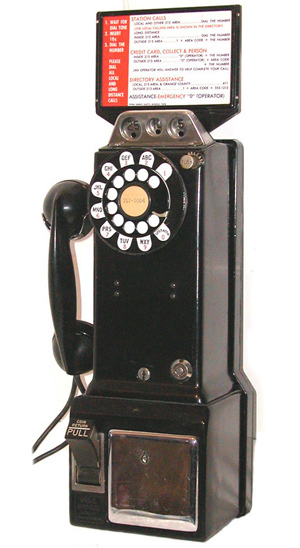 One of the last 3-slot pay telephones made by Western Electric before the development of the single-slot pay phone. Has 1A-11-65 stamped on the back. Note that this phone originally came with a 'G' handset but had an 'F' handset added to it later.